This miltifunctional saw is convenient. The special design makes it more practical. Labor-saving, time-saving and easy to operate. 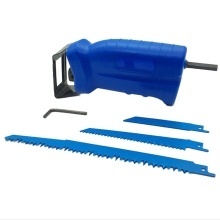 It&apos;s suitable for various cutting scenes. It can be installed in an electrodrill.